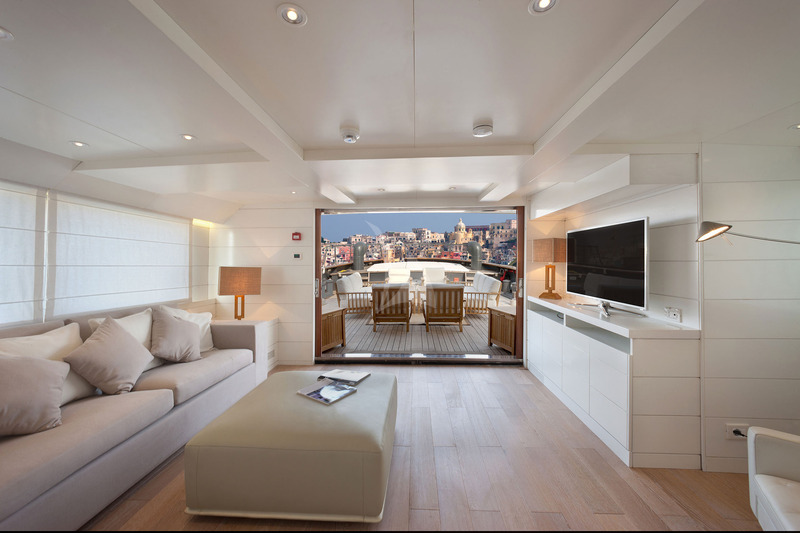 Built by Benetti Shipyard in 1964, Vervece underwent a full refit at the Palumbo yard in 2013 to convert her into the luxury yacht she is today preserving the original character of a Tug vessel. 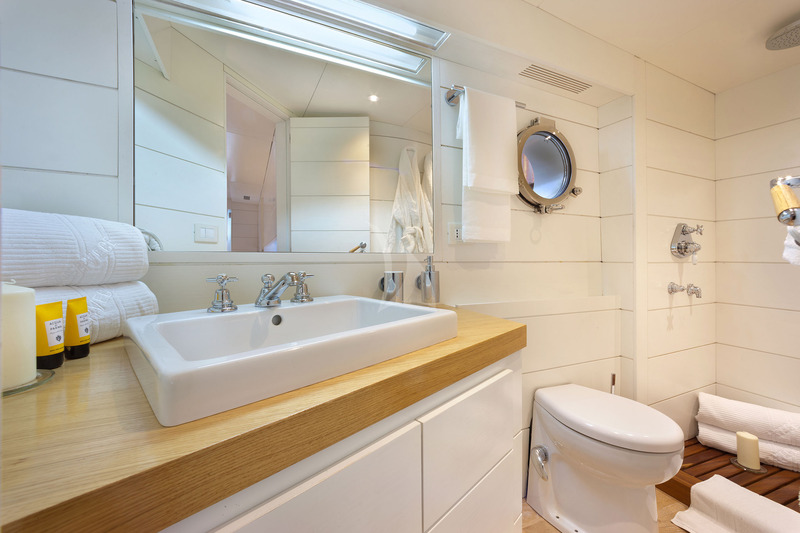 Vervece offers accommodation for 8 (+2) guests in 4 comfortable suites. Crew of 6. 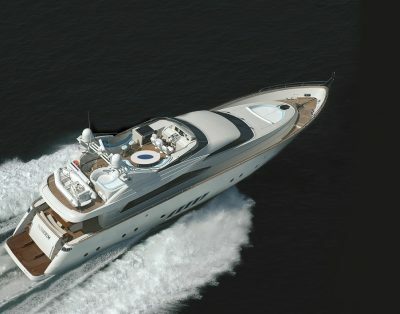 Built from steel, with exceptional seakeeping qualities, she cruises at 10 knots and reaches maximum speeds of 12 knots. 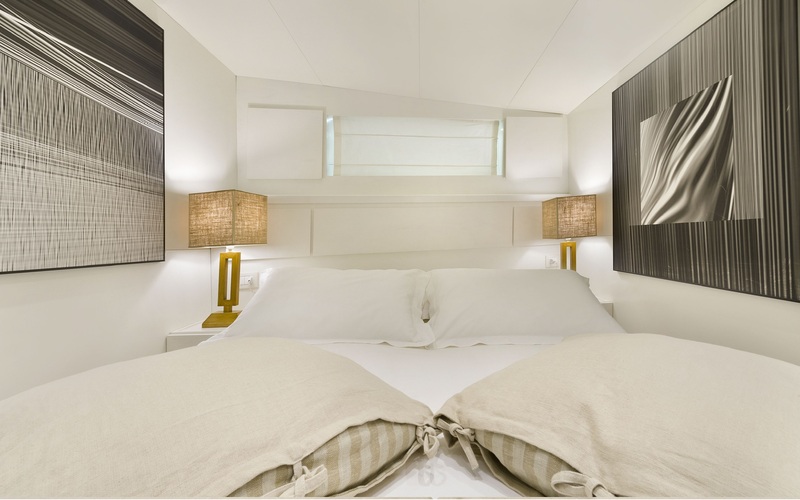 Vervece interior is extremely modern with a beautiful beach house styled interior that is chic and contemporary. 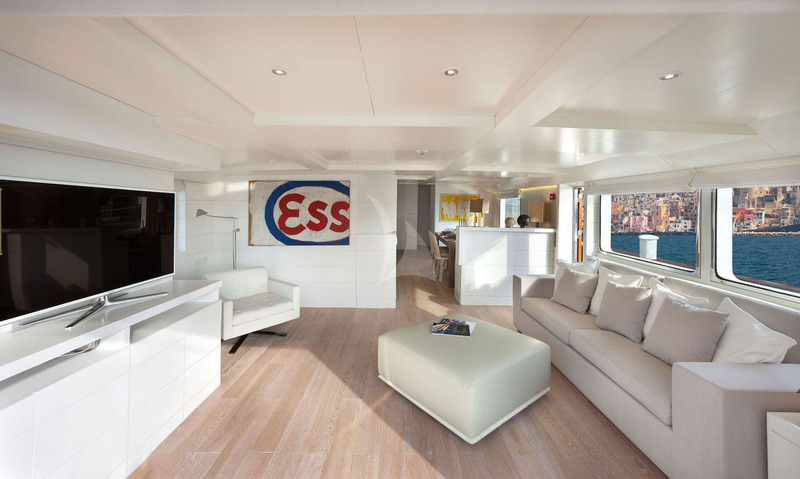 White furnishings pair perfectly with ash furniture, white lacquer, solid wood and pops of colour. 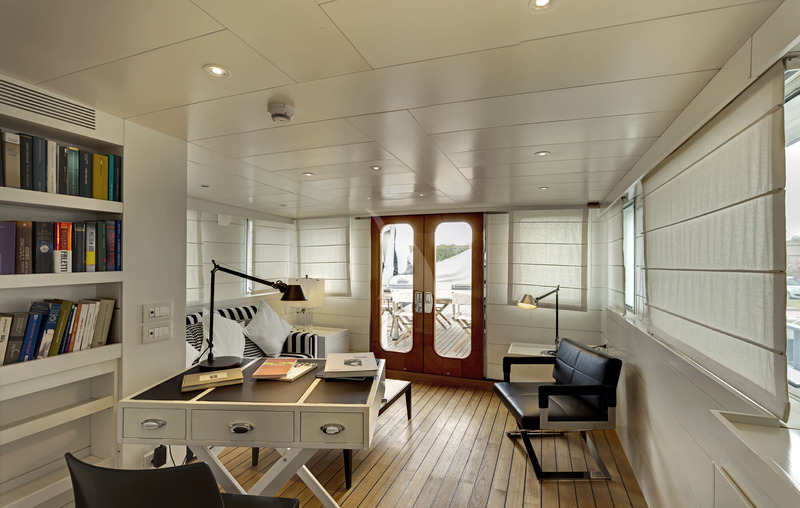 Able to welcome 8 (+2 ) guests on board, all guest accommodation is spacious and beautifully styled. 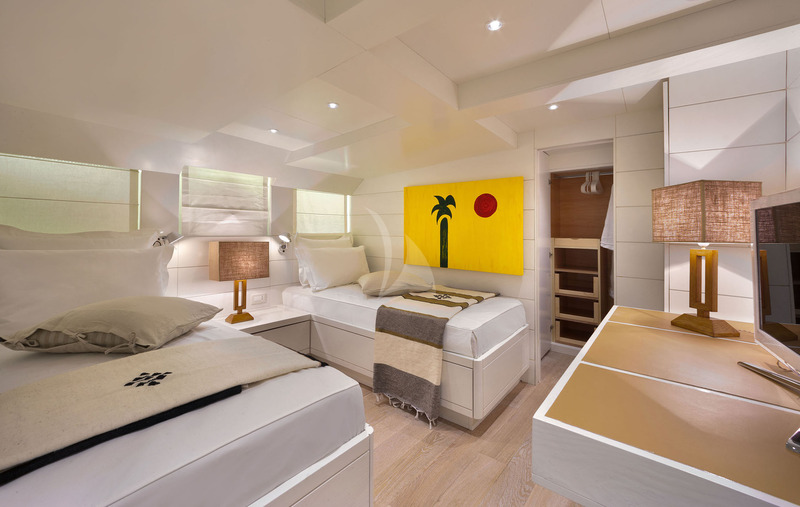 The full beam double bedded Master Stateroom with Queen Size bed, features a sofa, a dressing table, his/her wardrobe and ensuite toilet with shower box. 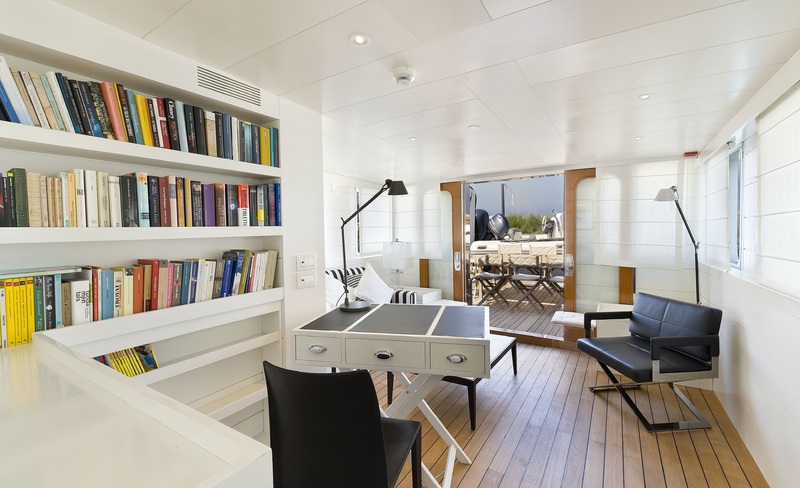 The double VIP stateroom with Queen Size bed, ensuite toilet & two separate showers has an anteroom with a little studio, shower box and a sofa with bunk bed (191 cm x 75 cm). 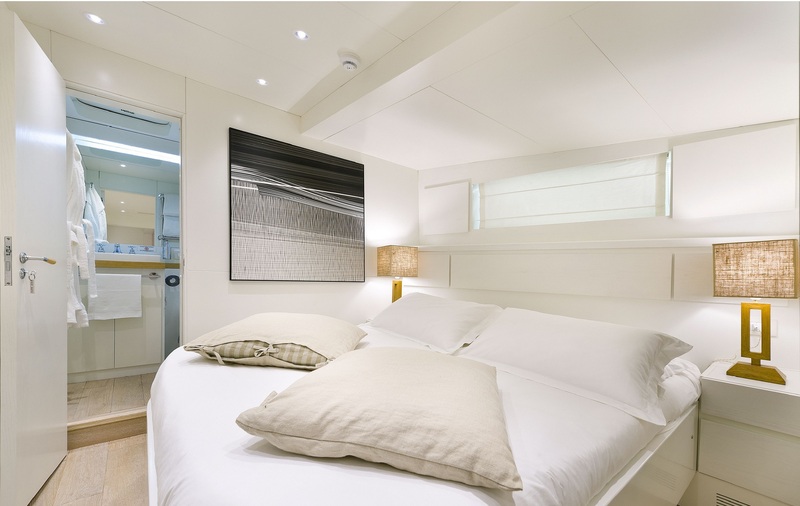 The 2 twins are both provided with sofa, dressing table, wardrobe and ensuite toilet with shower each. New aloe mattresses. 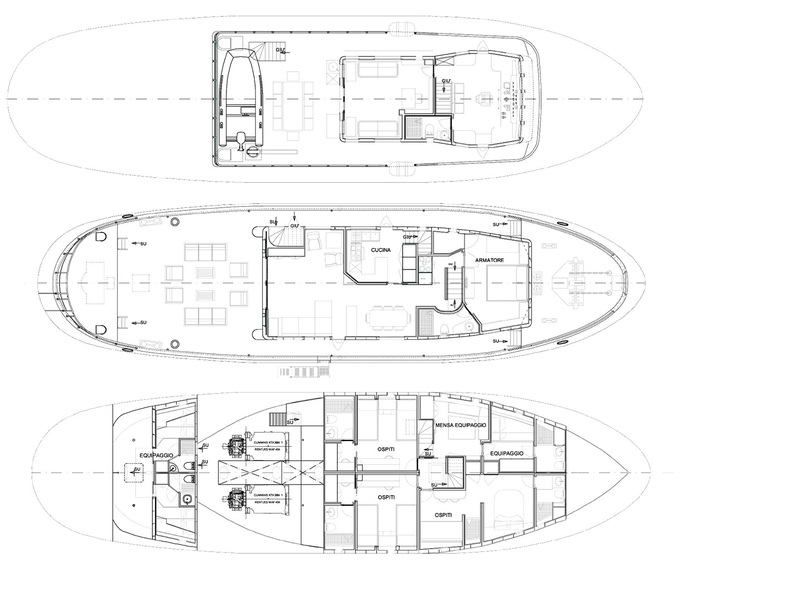 This layout make Vervece the ideal yacht for 2 couples or families, or for smaller charter groups alike. 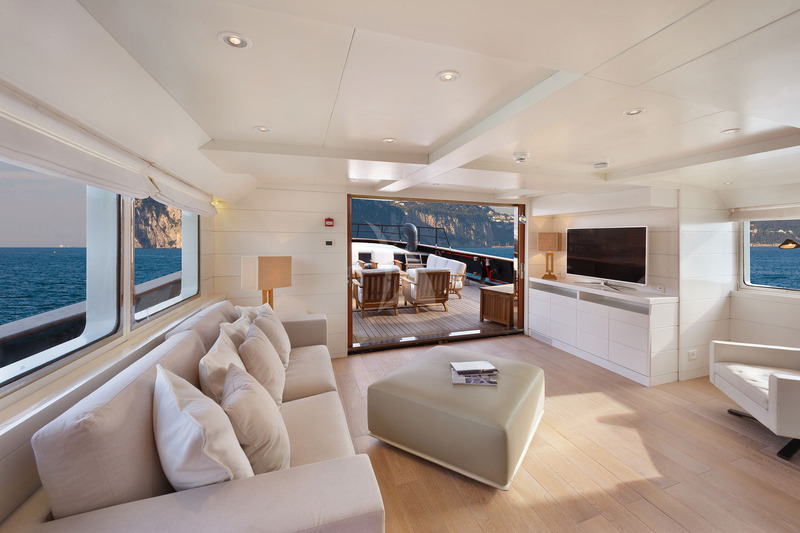 A large light-filled split main saloon features a formal dining area and luxurious lounge seating, with the modern galley located close nearby. 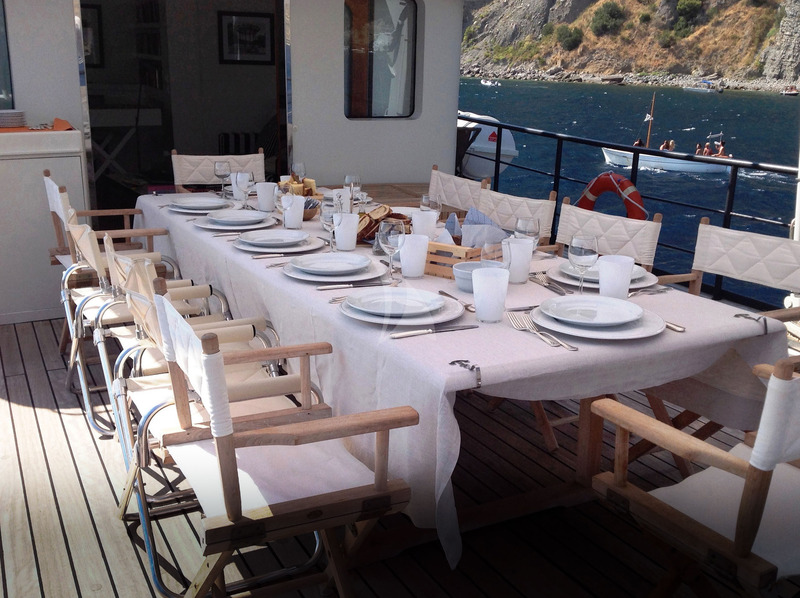 Vervece’s talented chef will create an unforgettable charter menu, customised to every group. Vervece also boasts a refined silver cutlery. 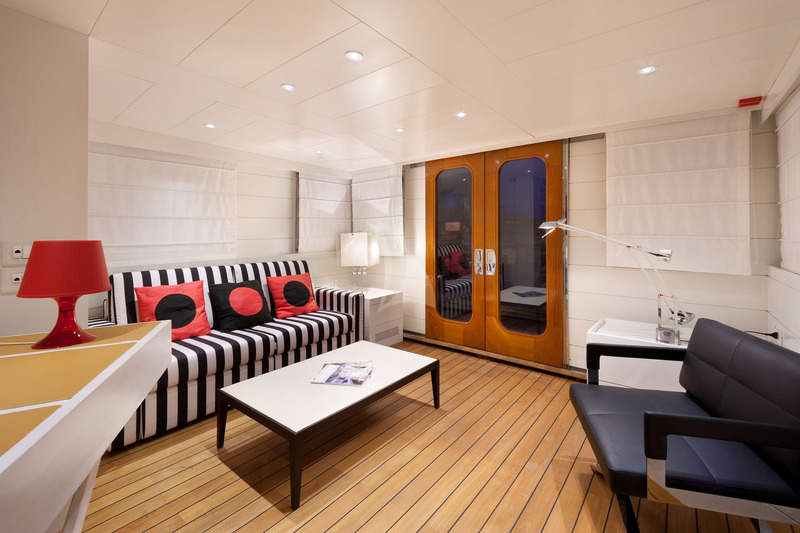 A second relaxed lounge space can be found on the upper deck, providing another chic space for guests to retreat to. 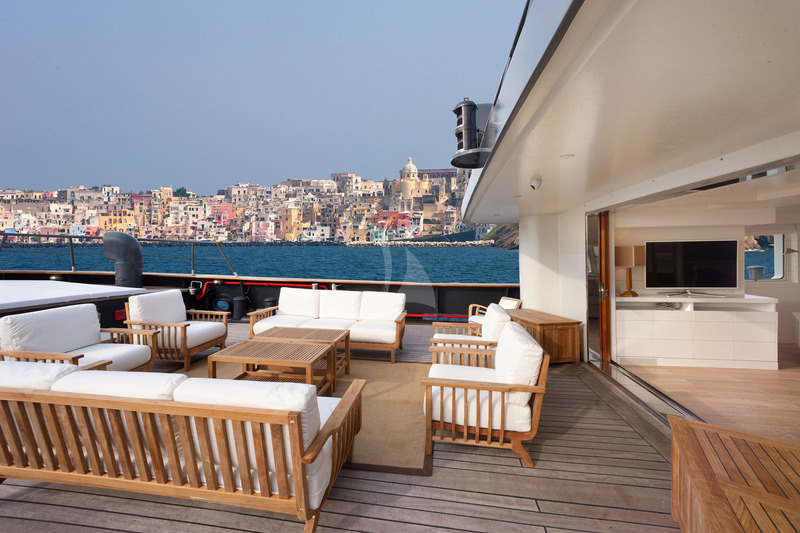 Outdoor living is part of the irresistible charm of Vervece with expansive spaces over all her decks, featuring al fresco dining options, lounge seating, sun loungers, bar area and more. 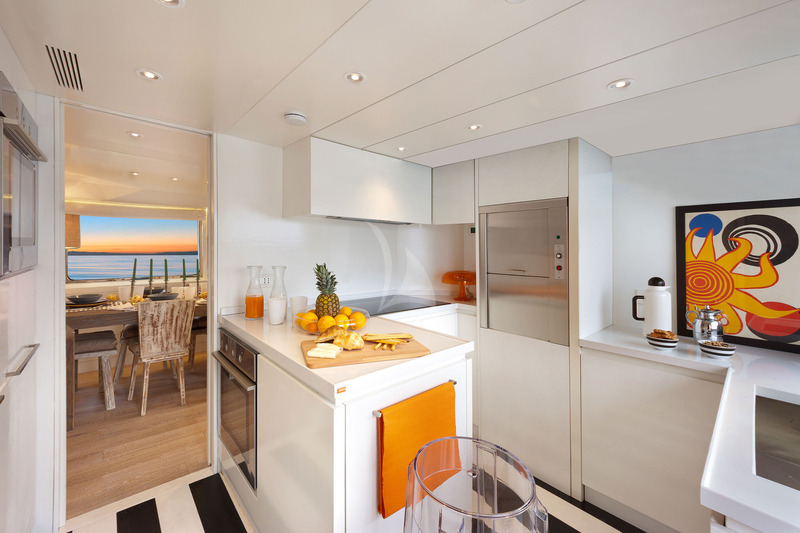 Guests will be spoilt for choice when deciding where to spend their day on board. Satellite Tv Lcd – Dvd 32″ + Sky in all Staterooms. Satellite Tv Lcd – Dvd 55″ + Sky in Salon. 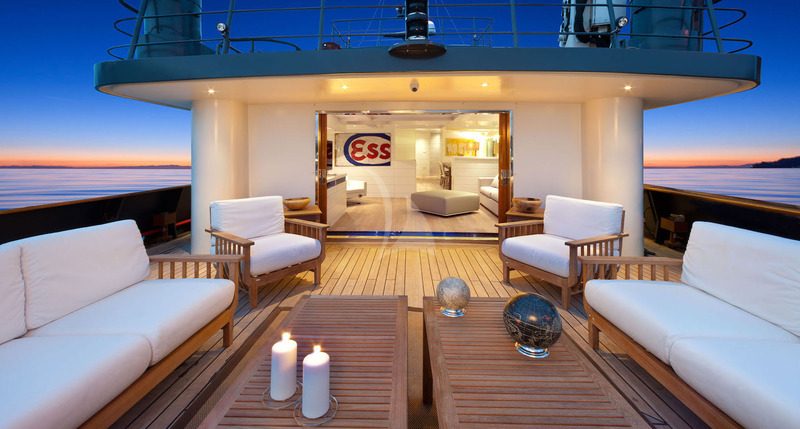 Alessio starts his career on the ships of the Italian Navy, to approve, still very young, in the world of luxury yachts. 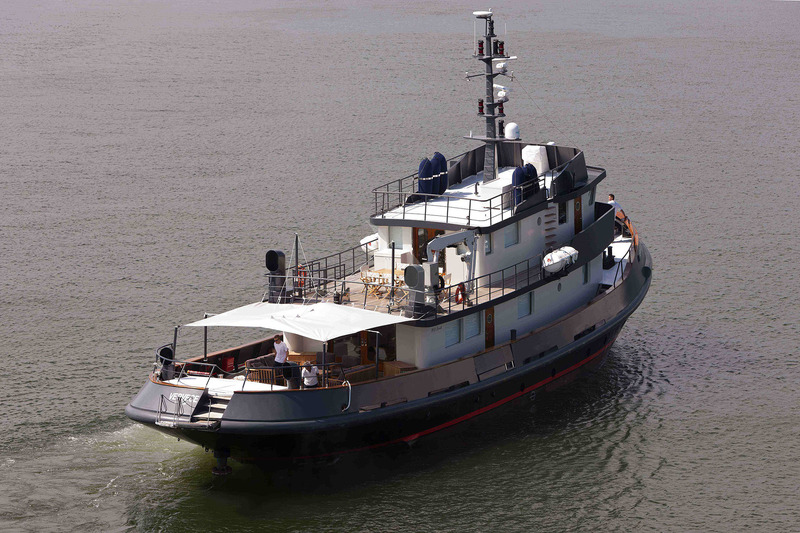 He also has a long experience on tugboats in the port of Carrara. 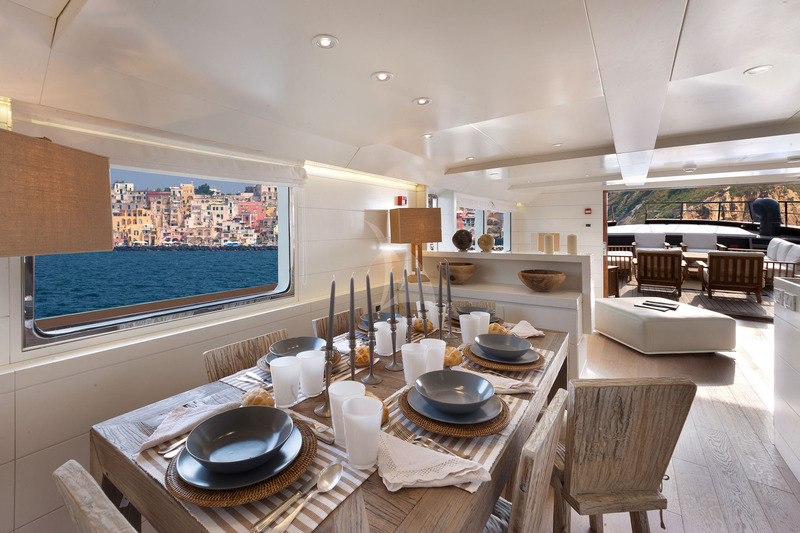 Alessio puts his expertise and extensive knowledge of the Mediterranean at the disposal of his guests to offer an unforgettable holiday. In addition to her native language, Italian, she speaks fluent English and Spanish. Mario is an extremely smiling and positive person. 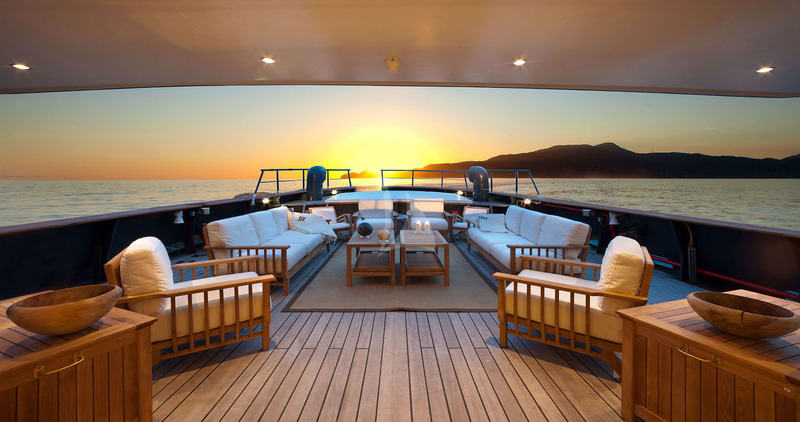 A “sea lover” since his childhood, he has a great passion for yachting, of which he has made an exciting profession. 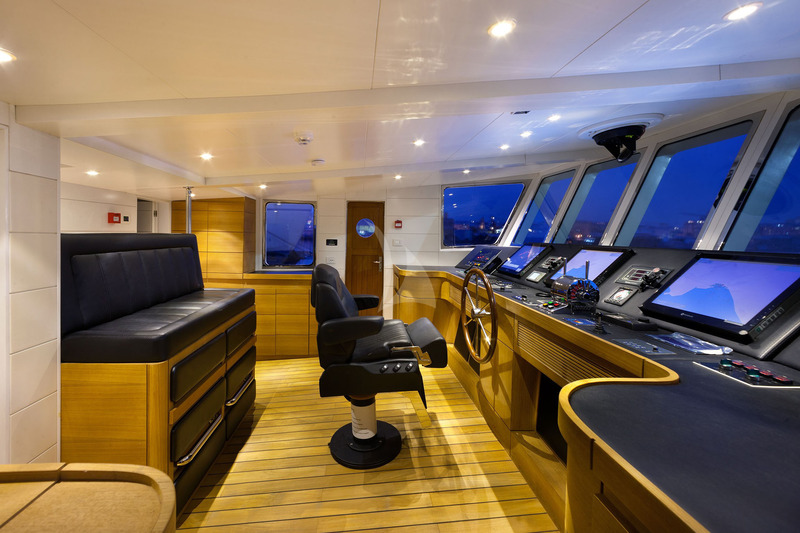 His experience is at the service of customers,both in navigation and in sporting activities available on board. Born in Viareggio, the sea is in his veins as for many of his fellow citizens. In addition to an excellent engineer, Fabrizio is also an experienced sailor, who supports the captain in every situation, ensuring constant safety on board. 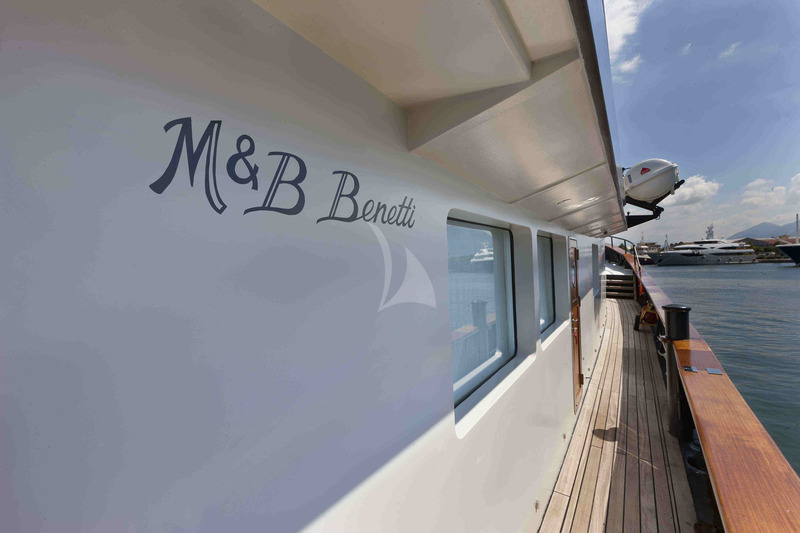 Michelangelo has been on board the My Vervece since its launch in 2015, and having participated in the refitting works he knows the boat perfectly. He is a great engineer, but also a great sailor who loves the sea and his profession, which he carries on with passion and professionalism. Born in Kiev, Ukraine, Yulia graduated from the Nautical Tourism Institute with excellent results. 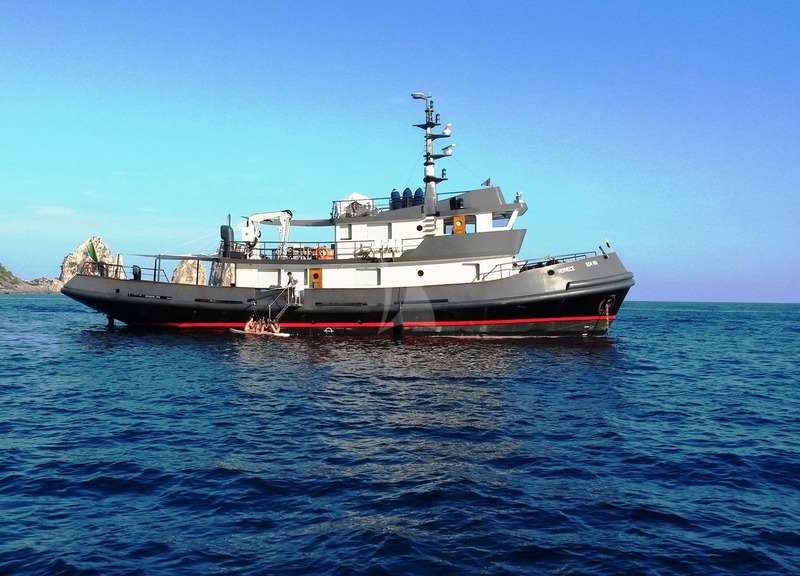 She has a long experience in charter, always with great success and customer satisfaction, not only for her kind attitude, but also for her ability to manage relationships with customers and the rest of the crew. She speaks perfect Italian, Russian and English. 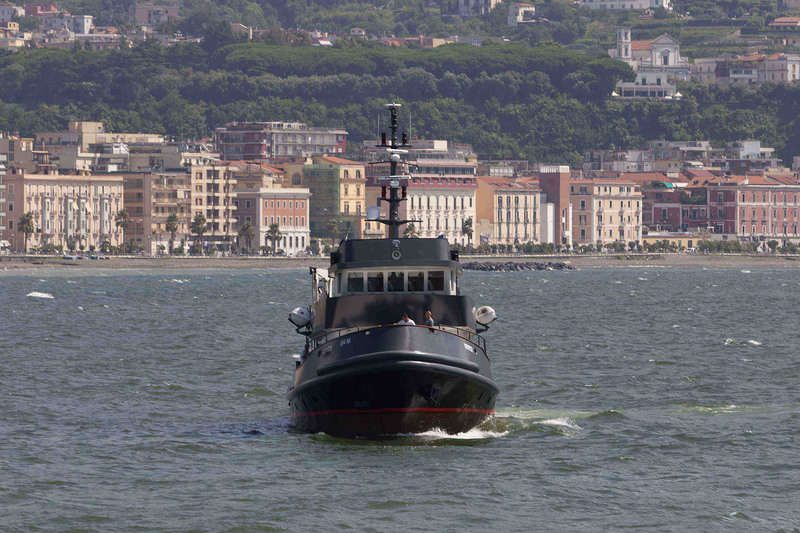 Born in Naples, Flavia has grown in contact with the sea to which she is closely linked. 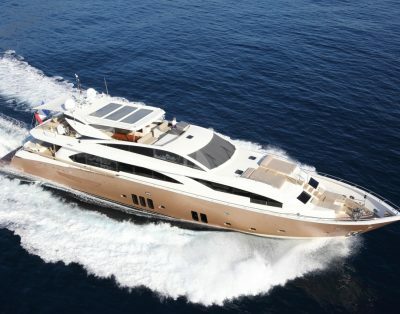 Flavia started to work in the charter industry in the role of purser, when she was very young. Later, she decided to follow her passion for cooking becoming Chef and specialising in the Mediterranean cuisine. Flavia’s job allows her to combine her two great passions, sea and cuisine. Thanks to her wide experience, Flavia is able to fulfill every customers needs, from breakfast to aperitifs with small crunchy pizzas, rustic, tastings of fish and many others. She always uses fresh and seasonal products for her dishes. Her specialty are Mediterranean cuisine recipes; from vegetable to seafood, her cuisine is appreciated by guests of any nationality. Italian mother tongue, Flavia speaks fluent English. 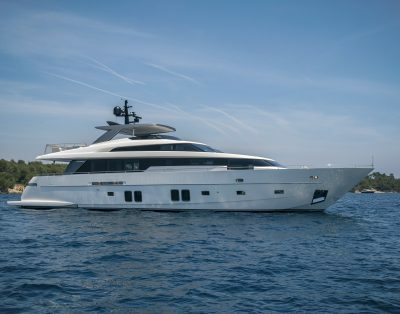 Weekly rates (6.60% VAT applicable in Italy) MYBA, WMT: August and events € 42.000,00; July € 39.000,00; June/September € 33.000,00; other months € 30.000,00. 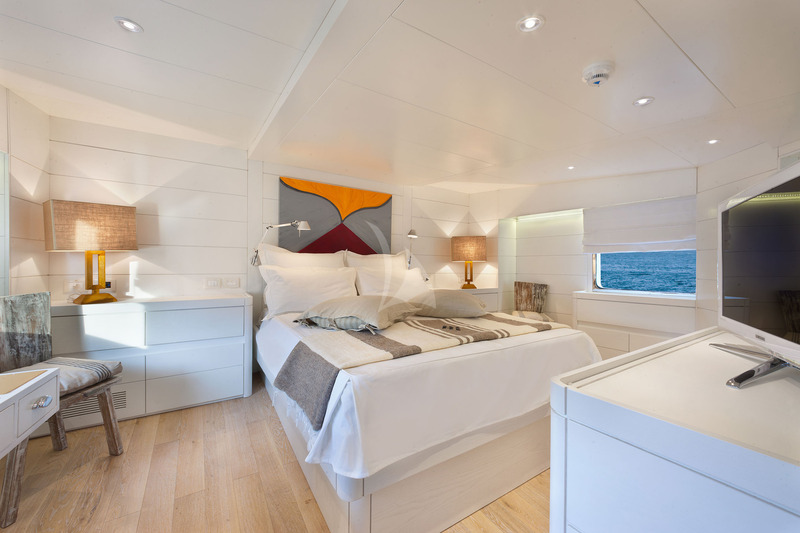 Rates include: hire, crew in the number indicated, yacht insurance, yacht’s linen laundry. 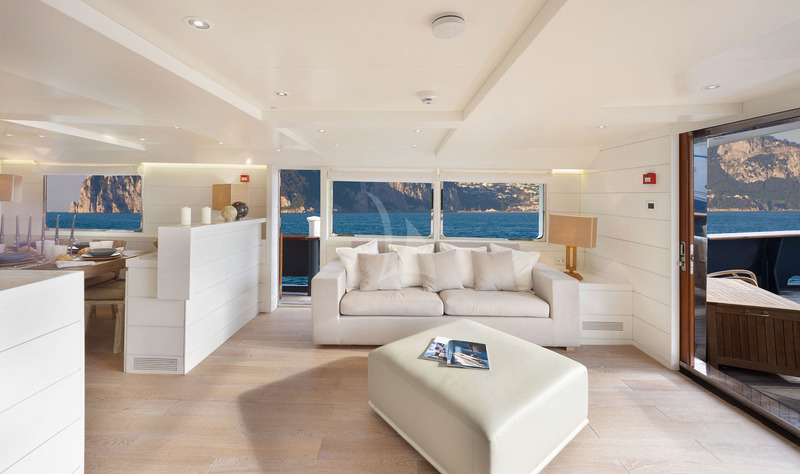 Rates do not include: food and beverages for guests, fuel consumption for the yacht, for the watercraft and the dinghy, berthing fees, personal communications costs (internet, fax, if on board), personal laundry, VAT if applicable. Fuel consumption 150 lt h at 10 knots. Duty free fuel in Italy only. 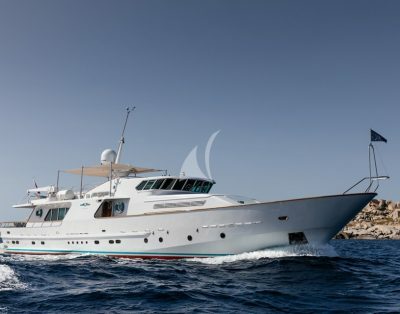 SPECIAL weekly rates listed above will be valid for charters contracted within 30th April 2019.